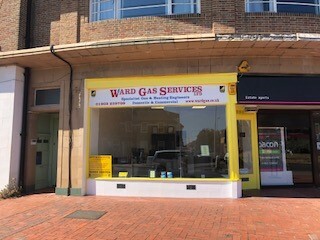 Ward Gas Services Ltd is a family-run business which has operated out of Worthing for more than 25 years. Charlie and Sandy Ward started the Company from home with just one newspaper advert and the business began to grow from there. Steve Warrington soon joined the company as a Heating Engineer and a shop was opened in South Street, Tarring. We became a limited company in 1992 after surviving the recession, and moved to our previous premises in Richmond Road, Worthing. To carry on the family team, Charlie and Sandy’s daughter Carla, joined the company in 1995 as Office Manager and her husband Clay joined as a Heating Engineer in 2001. Steve’s wife Judy also joined the company as bookkeeper in 2004. Together with Phil and Andy our other Heating Engineers, and Julia our Service Co-ordinator, our ‘family’ team goes from strength to strength. On 16th July 2018 we moved to our shiny new premises along the wonderful Goring Road, Worthing, providing us with a bright, spacious and modern interior. We look forward to many more happy years in business.